“Experience a whole new world” – this is the message conveyed in the latest advert released by Sony, featuring the new Sony A1 Bravia Oled Smart TV. 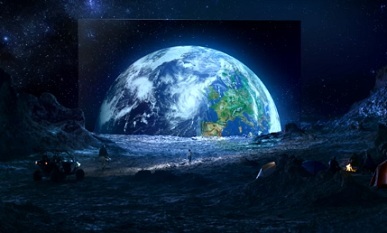 The spot, aiming to highlight that the A1 creates an out-of-this-world experience, shows a young boy mesmerized by the Earth Rising, which is shown on multiple A1 Bravia that form, all together, a screen so huge that it gives the impression that what they see is actually in front of them, not on a display. Sony’s OLED TV creates exquisite, unprecedented contrast thanks to more than 8 million self-illuminating pixels controlled by the X1 Extreme processor, which shows images and colours as they truly are, and thanks to the Triluminous Display, which maps colors from a wider palette, reproducing faithfully every shade and hue. Moreover, this TV pairs the brilliance of 4K clarity with the brightness, colour and detail of High Dynamic Range (HDR), turning, thus, previously hidden areas of dark shadow and sunlight into areas full of clarity and detail and the Innovative Acoustic Surface technology delivers engaging sound directly from the screen. The Sony A1 Bravia Oled Smart TV can be purchased with £3.500. The song playing in the background is “Heart as a River” by Robot Koch and Savannah Jo Lack (feat Delhia de France).